Nigvzis sakmazi, a garlicky walnut paste with fresh herbs, is a building block of many Georgian dishes. 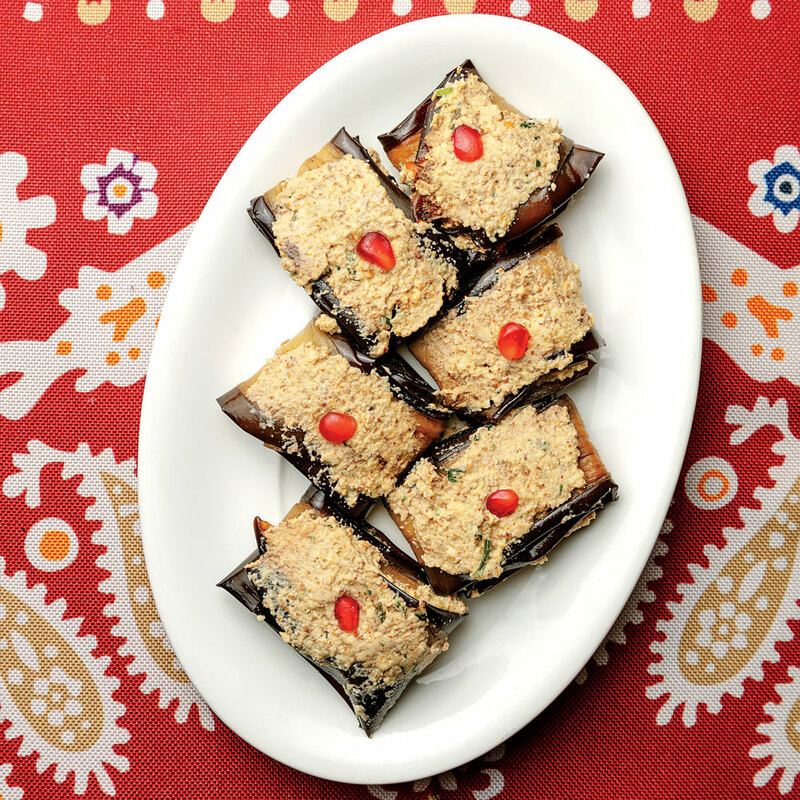 It’s wrapped with fried eggplant to make Georgian eggplant rolls and combined with chopped, cooked leafy greens to make a pkhali, a vegetable pâté. Similar to pesto, it can be stirred into yogurt or sour cream to make a dip, thinned with water or olive oil for a salad dressing, or tossed with hot noodles. Traditionally, it is made using a mortar and pestle, but this quick version, from Tasting Georgia author Carla Capalbo, uses a food processor. Process all ingredients in a food processor until mixture forms a coarse paste, 15 to 20 seconds, stopping to scrape down sides as needed. Transfer paste to a bowl; press plastic wrap directly onto surface, cover bowl tightly with a second piece of plastic wrap, and refrigerate up to 2 weeks. The finished recipe is great for later uses: It keeps tightly wrapped with plastic wrap in the refrigerator up to 2 weeks, or you can freeze small batches, wrapped in aluminum foil, for quick use at a later date. Use it to make salad dressings (thin it with water or olive oil), dips for crudités (stir it into yogurt or sour cream), or tossed with hot noodles as a pesto alternative.